If you are thinking about planning your next vacation to somewhere exciting and adventurous then Birmingham is the place to be. Situated in the West Midlands of the United Kingdom, Birmingham is a large metropolitan city with around four million people residing here. Birmingham is said to be the second most populated area in England that is visited by numerous tourists throughout the year, due to its prominent location, pleasant weather and numerous historical and architectural sites that are tourist hotspots. 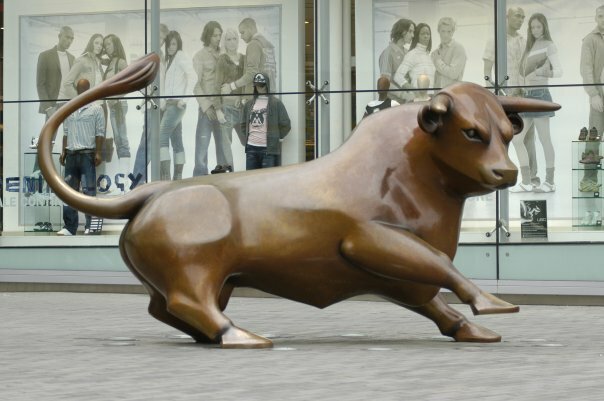 One of the most famous places to visit in Birmingham is the BullRing and if you plan to visit the area anytime soon; do plan a trip to the Bull Ring. If you do not know about this place, then this article will provide you with all the information you require regarding this fascinating tourist attraction. The BullRing is basically a commercial area in Birmingham and has grown to be one of the most famous markets to visit, since after all Birmingham started off as a market town. Previously the Bull Ring was a small market, but over the years, this has been converted into grand shopping malls that are home to the most famous brands from all over the world. Hence, if you are into shopping then the Bull Ring will be like a shopping paradise for you. So save up right now, so you can spend your heart away when you visit the Bull Ring. The Bull Ring was one of the biggest and busiest shopping places in the entire England and in the year 2010, a recorded thirty five million tourists made their way to this shopping centre. The shopping mall consists of a Forever 21 store, perhaps the first and only store in the entire Europe. It also has the fourth largest Debenhams store located in it and has Selfridges departmental stores in it, that are huge themselves, so you can imagine exactly how large the Bull Ring is!